With a simple and compact design, the HTB258 sits comfortably between the TV stands or fits nicely under the TV frame. It works with any device that has an OPTICAL or HDMI port or Bluetooth. When connected with HDMI, it allows a single remote controller to operate both the TV and the HTB258. 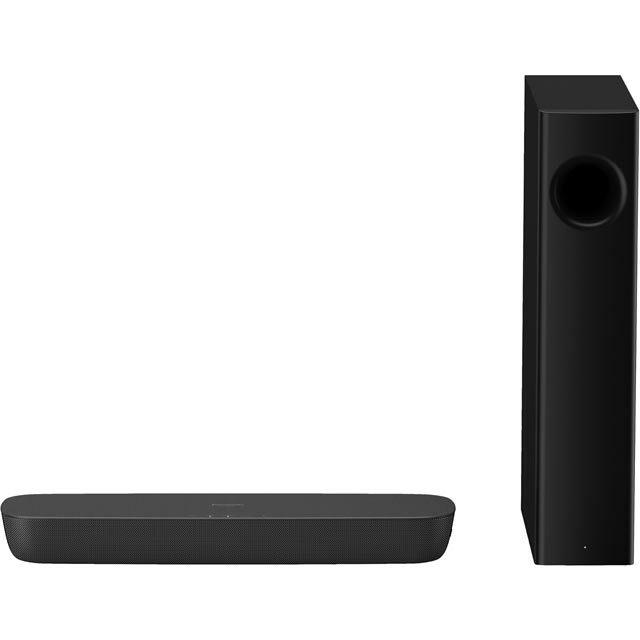 The sound reproduced by the high-sound-quality speaker and subwoofer is clear and powerful. And the wireless connection via Bluetooth allows you to hook it up to your Smartphone or tablet and stream your tunes.